The construction may be in full swing at The Avenue at White Marsh, but that won’t stop Red Brick Station from holding its annual crab feast. 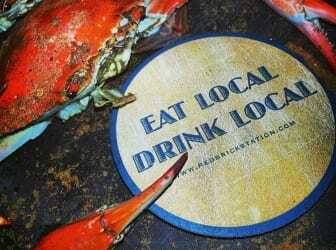 Maryland crab season isn’t over yet and Red Brick Station is prepared to celebrate with an evening dedicated to the fresh, local favorites served with all the fixin’s. There will also be corn on the cob, potato salad, Maryland crab soup, dessert and all-you-can-drink beer. The event will be held from 7 to 9 p.m. on Thursday, September 15th. The cost is $35 for Mug Club Members and $45 for Non-Members. Anyone interested in attending should sign up at the bar or email katie@redbrickstation.com.